Sausages! Yes, sausages. Market Drayton is well known for its bangers. My home town’s biggest employer is a factory that produces sausages and other products for the whole of the UK, so when it comes to a pork connection, Market Drayton has a very good one. Now, what does this have to do with me? 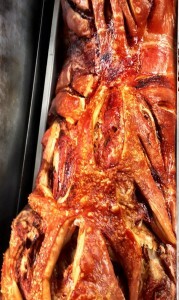 Well, I am the hog roast hire Market Drayton caterer and I thought you would like the pork related link! 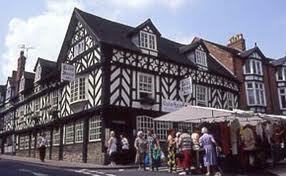 I have never worked at the sausage factory nor is it the inspiration for me becoming a Market Drayton hog roaster. The real inspiration lies in my love of photography. I am a keen photographer and I’ve actually done quite a few photographic jobs for friends and relatives, mainly weddings and birthdays. It was whilst I was taking photos at one friend’s birthday that I first got to sample hog roast. Now, I knew that hog roast Market Drayton events were getting quite popular but I did not know why this was the case. After all, I thought catering was all the same! Still, as I was doing my photographer ‘bit’ for free, I was able to enjoy a hog roast roll along with everyone else. Well, you may think it’s impossible to get excited about a roll but this was something else, it was magic. And then it got me thinking. How great it must be to cook something so tasty yet so seemingly simple for people. Everybody loved their hog roast rolls and I guessed that it looked a lot more fun than taking photographs of complete strangers. I was going to look into this a little closer. Well, I did ‘zoom in’ on hog roasting and here I am, a hog roast hire Market Drayton caterer. I still have my camera, of course, but instead of playing with my tripod and lenses at parties and events, I now do my work with my hog roasting machine. I love my technology (like most photographers) but this is probably my pride and joy. This is the piece of gear that allows me to provide for hog roast Market Drayton events on a weekly basis. It is the stage on which I perform and I love it. If you aren’t au fait with hog roast then it may help if I tell you a little more about the work I have to undertake to produce a hog roast, because it is not quite as easy I thought it would be all those years ago. There was me thinking it was a simple case of find pig, cook pig, carve pig and go home. Oh no. It’s a bit more involved than that. Choosing the meat is the first main hurdle. I have learnt over the years that when you cook meat, you can’t simply use any old lump of meat. If ever you watch the famous chefs on TV some time, you will always hear them going about the immense importance of making sure that you get the very best ingredients possible, as these have a fundamental impact on the meal you are cooking. And do you what? They are right. It’s why I choose the absolute best pigs I can find for every hog roast I can find. I would hate to be told by a client that the hog roast was okay but the meat could have been a bit better. Why take that chance? Well, I don’t. My local supplier gives me prime pigs that are perfect for hog roasting. That includes having just the right amount of fat for the perfect crackling. You do like crackling, don’t you? If so, you will love mine! 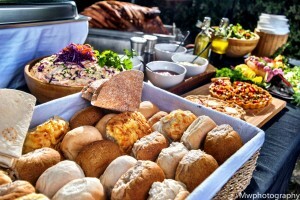 Although pig in a bun is the traditional hog roast meal, we are more than happy to provide a three course meal including canapés and drinks as well as a barbeque menu. We recently catered at a huge house for a summer party. The menu in question was a barbeque for 40 guests, who required burgers, SAUSAGES, chicken kebabs, meaty marinated spare ribs and grilled chicken & vegetable skewers. A selection of sauces and salads were laid on the serving table alongside fresh bread rolls, ready to accompany the barbecued meats. I love the versatility of hog roast and I believe it’s one of the key reasons why it has become so popular in the last five or so years. Hog roast has certainly stood the test of time since its medieval days but it really has come out of its shell to become a true all rounder! I know that most people think of hog roast rolls when they think of hog roast (I know that I do) but there is another more upmarket side to hog roast. I can make you a super, smart and formal gourmet hog roast meal which is fantastic for wedding receptions or corporate events. Market Drayton is about more than just sausages. If you want to give your event a little lift and a change from catering tedium, make your event a Market Drayton hog roast event.